The IS’s dramatic statement of sporting intent is instantly compelling, its powerful stance and flowing lines projecting a vital sense of forward movement. 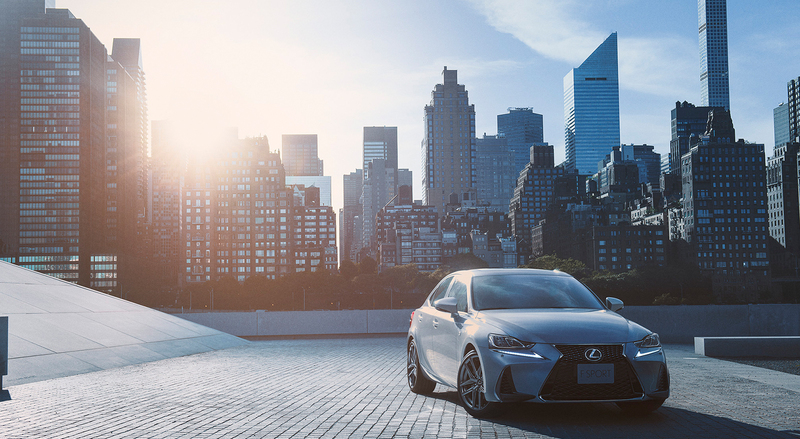 The dynamic presence of the front face creates a clear contrast between a fresh evolution of the iconic Lexus spindle grille in the center, and the power expressed by the solid corners that connect the front bumper and fenders. The continuous lines of the 3-eye LED low beam headlamps accentuate the sharpness of L-shaped LED DRL (Daytime Running Lamp). From the rear, the muscular stance is heightened by the sense of depth projected by the bold layered design of the L-shaped LED rear combination lamps. Square exhaust pipes add a premium touch. 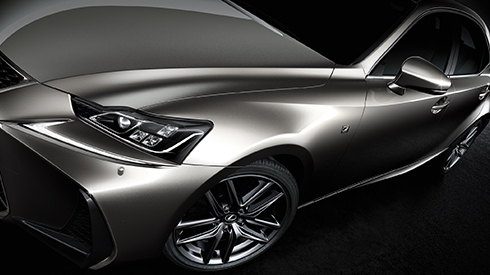 In the spacious cabin, the Lexus L-finesse design philosophy shapes a driver-oriented cockpit worthy of a sports sedan. The horizontal lines of the dashboard create a clean and open ambience. 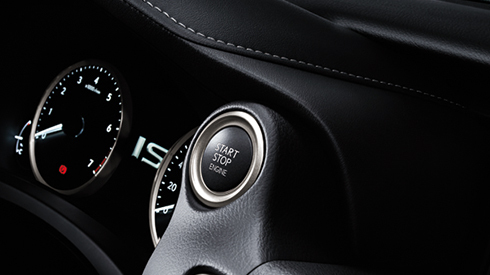 The feeling of sports control is heightened by a focus on functionality in the clear information provided by the 2-eye Optitron meters and 10.3-inch EMV (Electro Multi-Vision) display, and refined touches that include the choice of materials, accent stitching, and design of the steering wheel and shift lever.